Michael Welch has been with the Tennessee Department of Transportation for 25 years. He started out in an entry level position in 1993, working in the construction office. 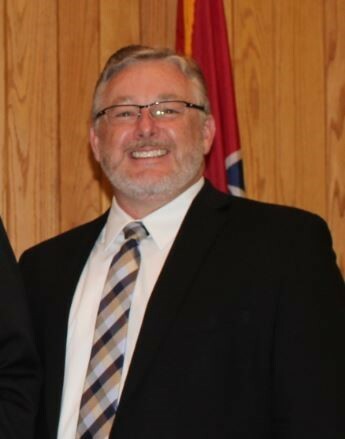 Today he serves as the Director of Operations for West Tennessee. He holds a BSCE from the University of Memphis and a MSCE from the University of Tennessee at Knoxville and is a licensed engineer. He is married to Dana Welch, and the couple has two beautiful daughters, Maddie (a Memphis Tiger) and Rebecca (a future Tiger). Mike grew up in Dyersburg but has resided in Yorkville since marrying Dana 28 years ago. During his free time he likes to travel with his family to exotic places like Belize and to not-so-exotic places like Chattanooga, and he helps with Rebecca’s high school band…she plays a mean clarinet. He also mentors high school seniors to help them start their secondary education through TN Achieves. Mike’s a firm believer in people helping people—just one of the many reasons he’s thrilled to be part of the meeting of the Associated General Contractors of America, a group that has each other’s backs and protects the public interest. $44.00 for dinner which includes 8 oz filet, salad, ice tea, coffee.